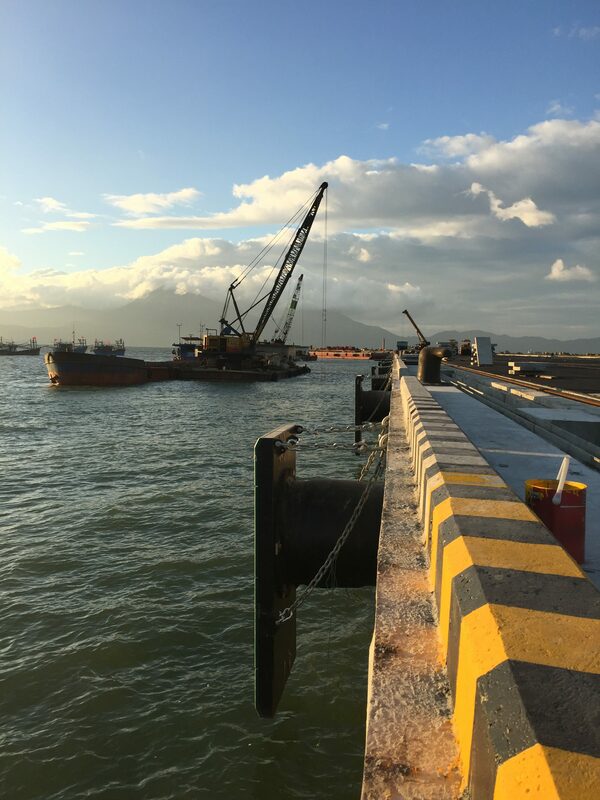 After more than one year of construction since July 2016, the project of expanding Tien Sa phase II, invested by Da Nang Port without ODA fund are gradually completed in basic construction items, contributing to improving the competitiveness and aiming at the strategic goal of building Da Nang Port into a leading green container port in Central of Vietnam. 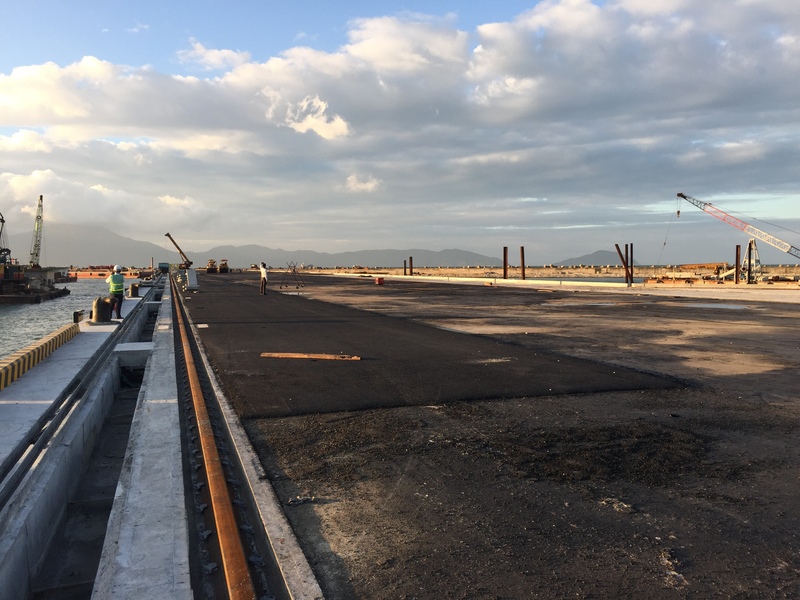 After over a year and three months, Tien Sa Port phase II is on the way to be completed with final items to ensure the smooth landing of vessels at the end of 2017. 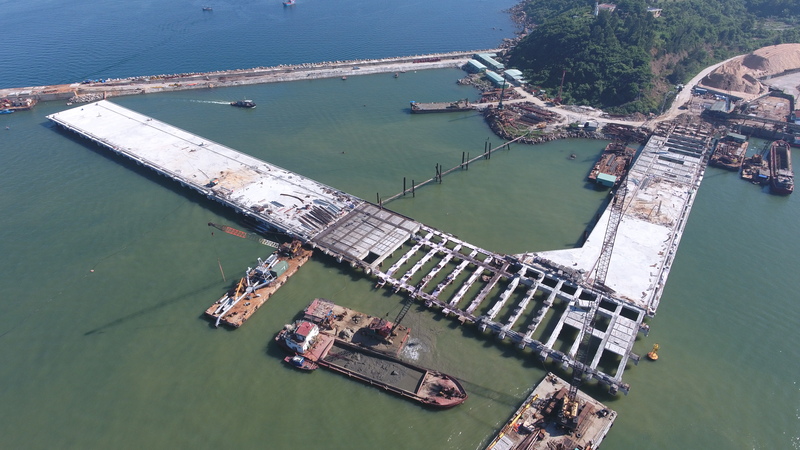 The project also includes the construction of two piers, including a 310-meter pier and a 210-meter one, equipped with two QCC craning system and associated technical infrastructure. 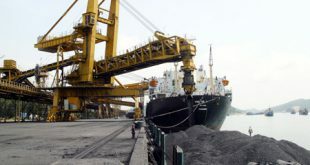 The project will serve up to 70,000 DWT container ships and large vessels, 4,000 TEU container ships and 100,000 GRT passenger ships with the capital investment of nearly 1,000 billion VND. 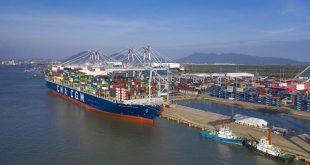 It is expected that in April 2018, Danang Port will complete all investment portfolios at the new terminal, completing 3 months ahead of the schedule. 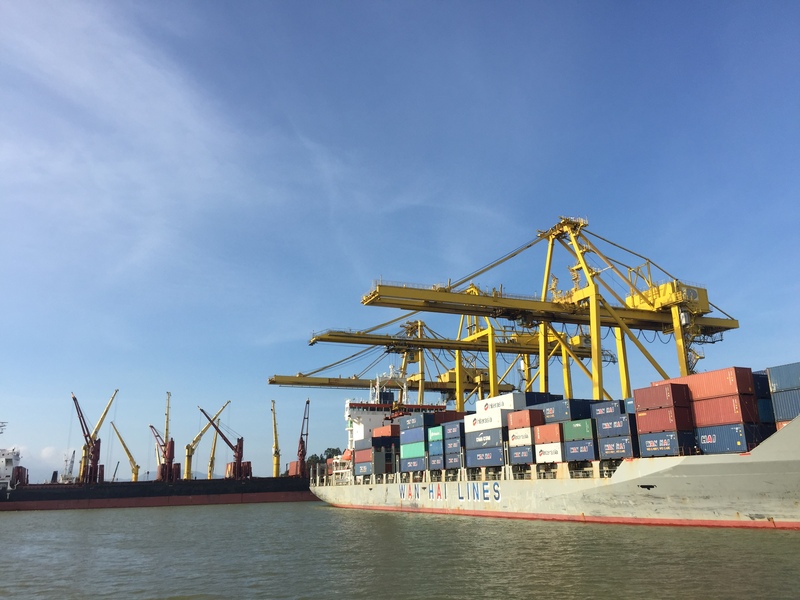 Although the return on capital of Da Nang Port has been high in recent years (17% per year), beyond that, Da Nang Port always follows its mission of creating smooth flow and safety for human, goods and culture by believing that it will restore the prosperity of a nation. 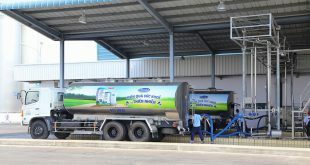 With the motto “People are the foundation of development”, Da Nang Port understands thoroughly that the “people” here are not only employees and workers of Da Nang Port but partners, customers, and community as well. This is for the belief that sustainable development is all about human beings.